On 15-16th November, over 400 representatives of science from Poland and abroad, participated in a jubilee two-day conference organized in Warsaw, to celebrate 100 years of the Nencki Institute of Experimental Biology of the Polish Academy of Sciences. During the ceremony, the achievements of the Institute’s current and former academic staff were presented and acclaimed. It was also an opportunity for integration and reminiscences. For a hundred years, the Nencki Institute of Experimental Biology of the Polish Academy of Sciences in Warsaw has been investigating the secrets of the world of biology – initially organisms, tissues and cells, with now also including organelles, proteins and genes. 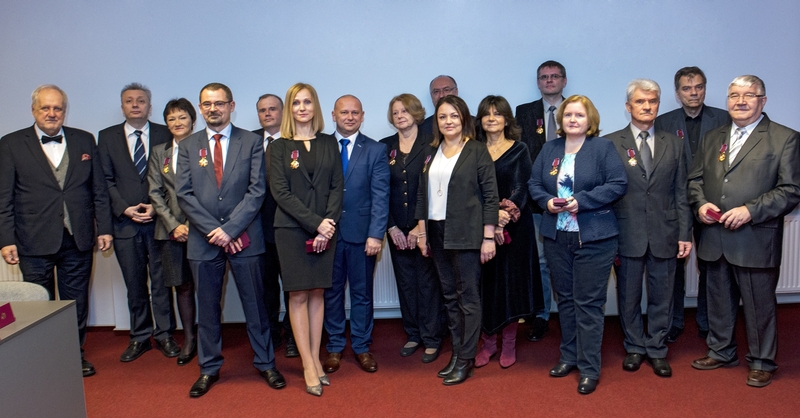 The ceremonial celebration of such a monumental jubilee was a two-day conference attended by representatives of the Ministry of Science and Higher Education, the Polish Academy of Sciences and current and retired employees of the Institute. It was graced by invited guests, including representatives of domestic and foreign scientific institutions. The participants of the event had, among others, the opportunity to visit the laboratories and see many exhibitions and film screenings, along with a concert performed by the charges of the National Children’s Fund. “The position of a scientific institution is not built up in a year or two, or even within a decade. Like future generations, we are now building this position on the work of whole generations of our predecessors. It’s thanks to their involvement that the name of our institute can be seen today among the leading biological research facilities in Europe. We wanted the effort and passion of our present and former employees to be suitably recognized by this celebratory conference,” stresses Prof. Agnieszka Dobrzyn, director of the Nencki Institute. Founded in 1918 by the Warsaw Scientific Society, the Nencki Institute, from the beginning, has consistently undertaken pioneering research. Between the two world wars, the transformation of matter and energy in animals, and the physiology of fertilization and development of embryos were examined here, as well as marine and inland hydrobiology. Already in 1920, the Wigierska Hydrobiological Station in Płociczno was established, in 1932 the Morska Station in Hel, and in 1937, the Poleska Station in Pińsk. A scholar of the interwar period with particularly valued achievements was Professor Jerzy Spława-Neyman, a mathematician dealing with applications of statistical methods in agriculture, microbiology, anthropology, genetics, economics and sociology. After the Second World War, the rebuilt Institute began its transformation into a research centre. The turning point here, was Professor Jerzy Konorski’s book Conditioned Reflexes and Neuron Organization, published in 1948 by the Cambridge University Press. After 1957, a new direction appeared, led by Professor Lech Wojtczak: the bioenergetics of mitochondria. Then, at the turn of the 1960s and 1970s, muscle biochemistry began to develop, headed by Professor Witold Drabikowski. Today, the Nencki Institute is one of the largest non-university centres for biological research in Poland. With 38 laboratories, and over 500 employees and doctoral students, biological issues of an interdisciplinary nature, including molecular biology, biochemistry, neurobiology and biomedical research are engaged in. Eight laboratories provide services related to light and electron microscopy, flow and scanning cytometry, magnetic resonance, gene sequencing, preclinical studies and animal models. Within the Institute there is also a modern animal house, making work with transgenic animals possible. The Institute is one of the leading research centres in the country in acquiring European funds. Currently, over 300 national and European grants are being implemented here, including such prestigious grants as COFUND from the European Maria Skłodowska-Curie programme and the ERC Starting Grant awarded by the European Research Council. In cooperation with the European Molecular Biology Laboratory (EMBL), BRAINCITY the Centre of Excellence for Neural Plasticity and Brain Diseases is being established at the Institute. In the Centre, being implemented under a 39 million zloty grant, the mechanisms responsible for the emergence of diseases such as autism, schizophrenia and Alzheimer’s disease will be investigated. In turn, thanks to the initiative of the German Max Planck Society at the Institute, there are two DIOSCURI Centres of Scientific Excellence. Here the mechanisms of the regulation of gene expression and signaling pathways important in metabolic diseases will be under the microscope. During the jubilee conference, the role of history was repeatedly emphasized, recalling the profiles of outstanding employees and their pupils, currently working in the best Polish and foreign scientific institutions. There was also mention of the latest achievements. These include, among others, cheap and simple ways to carry out blood tests, which can be used to detect insulin resistance up to 5-10 years earlier than the methods currently used. Used in the diagnosis of type 2 diabetes, these tests would allow physicians to instigate preventive treatment at an early stage of disease development, minimizing its effects. A novel peptide therapy for gliomas, the most common primary brain tumour, is also promising. Animal tests suggest that in the future it could significantly extend the survival rate of patients with malignant gliomas, which today stands at several to a dozen or so months. In turn, conjugates of specific peptides consisting mainly of pharmaceutically acceptable ingredients may help in the fight against Alzheimer’s disease. Conjugates favourably affect the main factors responsible for the development of this disease – they lower the tendency of amyloid beta to aggregate and reduce the neurotoxicity of its aggregates. Today, the Nencki Institute cooperates with several dozen foreign research centres, including the renowned German Max-Planck Institute of Molecular Cell Biology and Genetics, the French National Centre for Scientific Research and the British University of Cambridge. 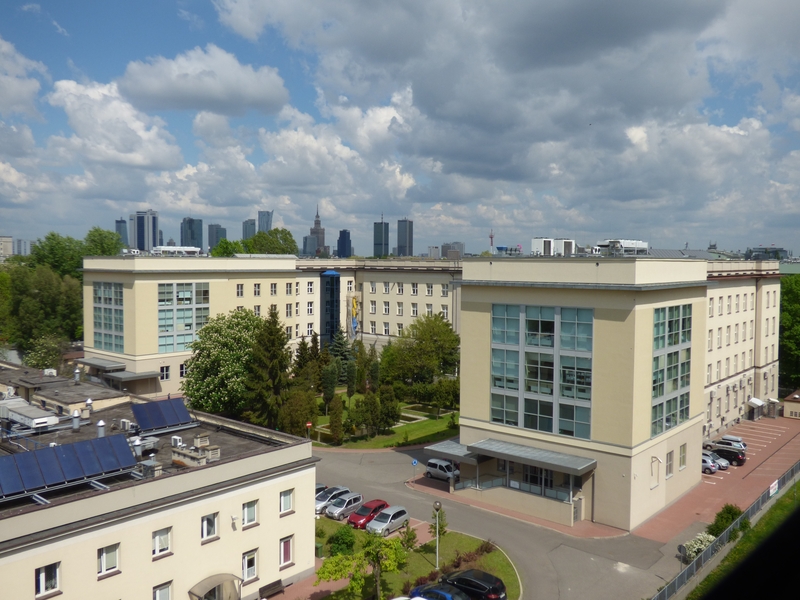 Three scientific societies have their headquarters at the Institute: the Polish Biochemical Society, the Polish Society for Nervous System Studies and the Polish Ethological Society. The international conferences, symposia and workshops organized by the Institute attract hundreds of scientists from Poland and the world. The training of future educators also plays an important role – over 600 young scientists have acquired their PhD within the Institute’s walls, and today 180 doctoral students from 20 countries are raising their qualifications. The Institute was the first Polish research institution to meet the European HR Excellence in Research standards for employing researchers. Its strong position is evidenced by the fact that it has been chosen to represent Polish scientific thought at the world EXPO 2020 exhibition in Dubai. The promotion of science plays an important role in the Institute’s activities. The Institute co-organizes, among others, such well-known events as Brain Week, the Polish Radio Science Picnic and the Copernicus Science Centre, as well as the Warsaw Science Festival. Open days have become a tradition, during which school pupils and students have the opportunity to visit laboratories, and workshops are organized for biology teachers. The Institute’s achievements in the field of popularization have been recognized by the Polish Press Agency, which in 2013, distinguished the Nencki with an award in the Science Populariser competition. The Nencki Institute of Experimental Biology of the Polish Academy of Sciences, founded in 1918, is the largest non-university centre for biological research in Poland. The priority fields undertaken at the Institute include: neurobiology, neurophysiology, cell biology and biochemistry, and molecular biology – in scales of complexity from tissue organisms through cellular organelles to proteins and genes. There are 40 laboratories at the Institute, including a modern Confocal Microscopy, Flow and Scanning Cytometry lab, Electron Microscopy, Behavioural Tests and Electrophysiology labs. The Institute has modern research equipment and a modernized animal house, allowing for the breeding of laboratory animals, including transgenic animals, according to the highest standards. The level of experimental studies, publications and strong links with the world of science places the Institute among the leading biological centres in Europe. The official website of the Nencki Institute of Experimental Biology in Warsaw. Press service of the Nencki Institute of Experimental Biology in Warsaw.